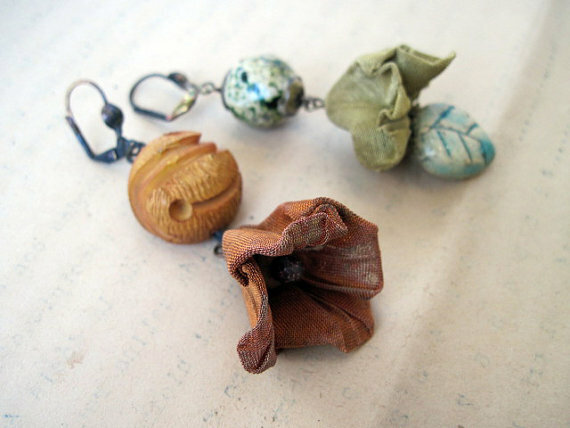 Art Bead Scene Blog: Creating Art Beads from the Unexpected! One of my favorite designers and dear friend Jody Engelmann did just that with these amazing little hearts! 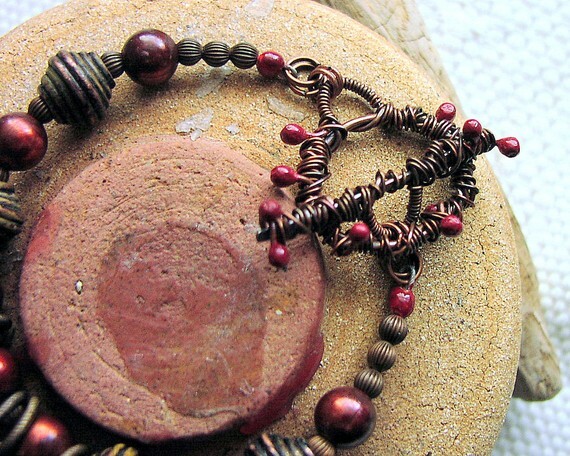 She used bronze wire and what looks like double headed copper head pins to create these amazing and unique art beads. She even took it one step further and created a matching toggle! So a double whammy for Art beads in this stunning bracelet! Please take a moment to visit her Shop and Facebook to see more wonderful designs! Another long time favorite of mine is the creator behind Fanciful Devices! Creativity without borders! I would love to be able to come up with some of the ideas they do! Absolutely wonderful! The earrings named "Deserving Your Love" are made with stunning Mesh flowers! Now that is truly creating Art beads with unusual things! I can honestly say I would never have thought of that myself! I love the intricate folds that must have come so naturally in the mesh, I love even more that the earrings are asymmetrical! Last but not least, the amazing Erin Prais-Hintz! 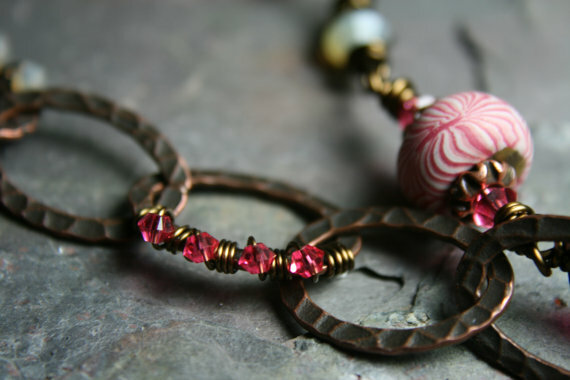 I just love how she turned a link in this chain into an art bead. That's all you need! Seriously! 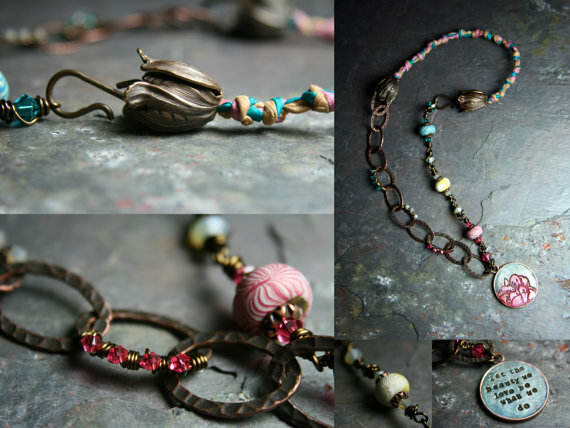 She wire wrapped delicate little pink crystals to a link in this chain with wire! Amazing and unexpected detail! If you look at the whole picture you will see she did the same to two more links in this necklace. What a beautiful, simple yet out of the box creative result! So what will you make into an Art bead? What unusual products will you try to turn into an Art bead? Leave us a comment, we would love to know! All pictures in this post were used with permission from the artists. Please do not reproduce these ideas, but use them instead to inspire you to create something new. Beautiful and inspiring work! Thank you for the education. I love your blog. "stuff" to designs.Those unexpected unique little extras can really turn ho hum into WOW!!! I have drawers of "interesting" things that will just possibly fit into a design someday.My hubby calls these my junk drawers!!! But ,really they are my treasure chests!!! Teeny padlocks and small escutcheons are my favorite finds. Great post! Those mesh flowers are so pretty and like Erin, I love to add colour and interest to links, clasps and loops with a little wire wrapping. 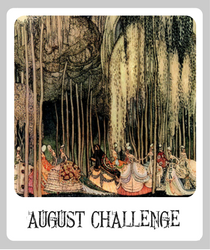 So, am I understanding correctly that other things can be considered art beads, but they don't qualify for the monthly challenge? are you kidding me? 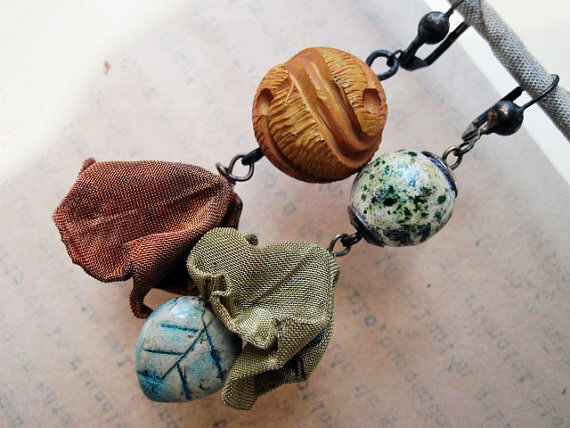 what wonderful uses of other things to make fabulous beads and interests in your pieces! I am currently going thru tons of junk in the studio looking for new uses for new things in my pieces...what an inspiration! What a wonderful post this is Marie! I love the examples you have chosen. And I am humbled by the creativity they all show. It is so inspiring to be amazed by someone else's fantastic work. That is so great! I get the urge to make things myself now. A completely wonderful side effect I most often get from visiting the ABS blog. :-) Thanks for sharing! What a wonderful, inspiring post, Marie! The examples you chose are amazing! It definitely gets the brain working. Thanks! What beautiful pieces were created! One of my favorite techniques is to use liquid polymer clay on fabrics such as lace and ribbon and then using them to create fabric flowers or lacey backgrounds for pendants. What a great explanation. I'm always a little confused as to what constitutes an art bead. I love these different ideas. 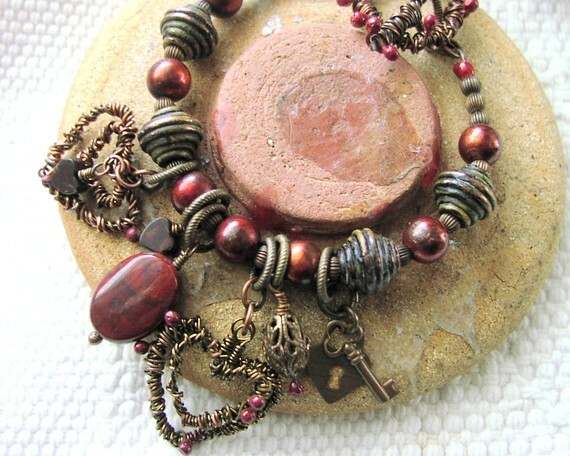 Thanks so much Marie for including my bracelet made with the wonderful Miss Fickles copper beads .I had so much fun creating that bracelet. I love to put little surprise elements in my jewelry. And I would not use anyone else's copper . Such a lovely work from you. It looks spectacular than other ones that I've seen. Thanks, I love your sense of creativity.